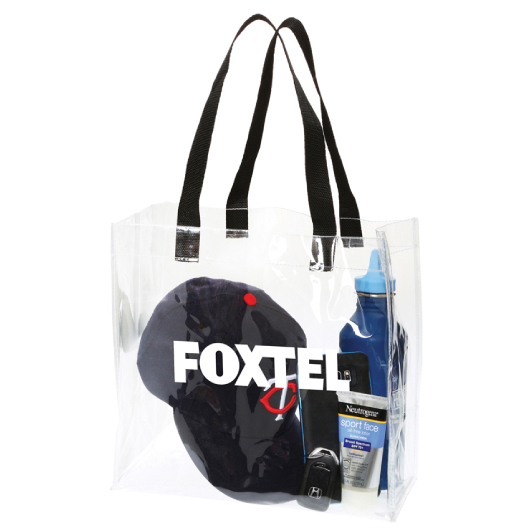 The choice is clear with these fantastic transparent tote bags. 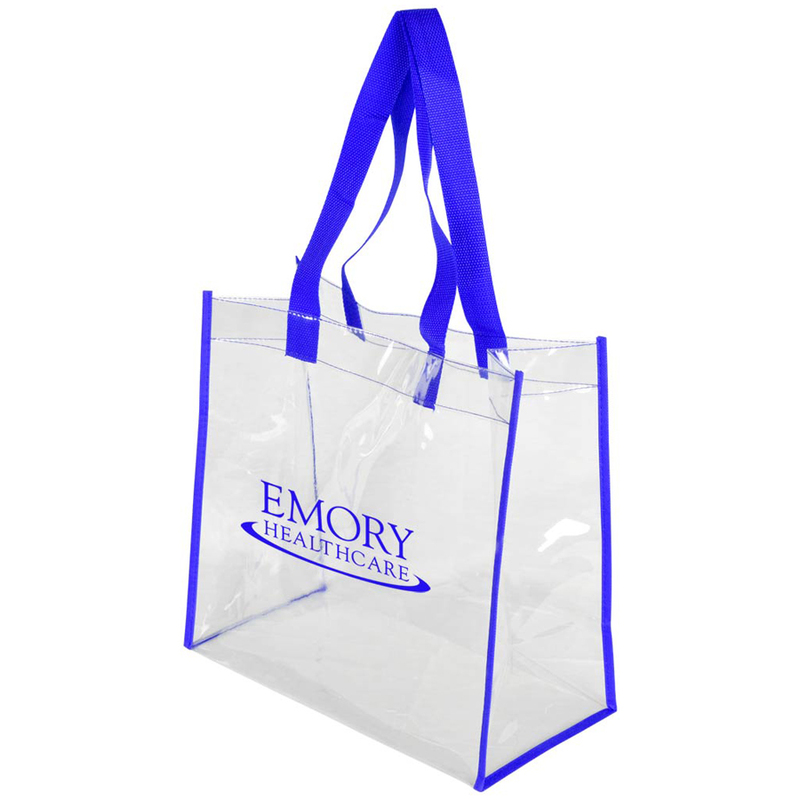 Promote your logo today with some of these transparent tote bags. They're perfect for everyday use or for going to events such as races, sports games, concerts etc. 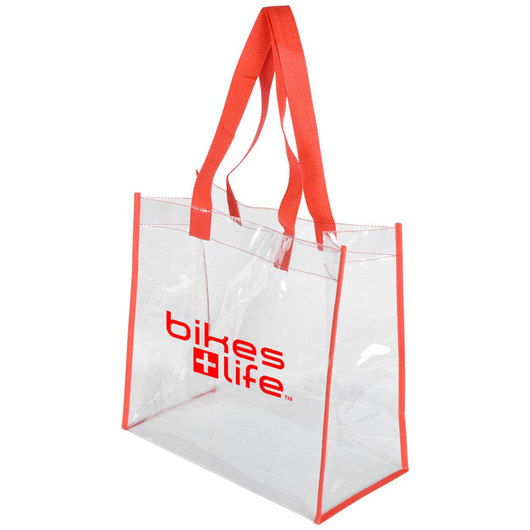 Many security authorities are implementing regulations that only allow clear bags and these bags fit that role perfectly. They feature coloured handles, trim and your printed logo!